How do you measure success? For me, the measure of my success is gauged by how much I’ve grown in a specific area. Like a fitness plan, if the goal is to lose weight and I can see the pounds coming off, then voila, success! My constant goal is to be better at executing my art and in that vein, I subject my paintings to constant comparisons – sometimes to that of other artists but more often to art I’ve created previously because I am only as good as my last painting. We all have our favorites and then there are those creations that are recycled or painted over – much to my husband’s chagrin – because I have no desire to hold on to works that I feel are subpar or that I’ve lost interest in. Then there are those that, at the time of creation, I thought were fairly good (sometimes great). Those are the pieces I hold onto even though I sometimes cringe as they pale in comparison to more recent work. I keep them because they are great indicators of my growth, therefore my success as an artist. When I think of growth, I’m not talking changing my style of painting or making art. A change in style is acceptable and expected as an artist matures, but a noticeable change in technique, composition, color harmony, etc., are, I feel, better indicators of growth, therefore success. Often when I look at some of my earlier works, I think “do over” and challenge myself to a rematch. Until the next time we stop to measure our growth. Which brings me to these two paintings. I am still not overjoyed with my execution of the hands on the lower image, but boy oh boy, I think I’ve traveled a great distance towards crossing the line of success with this painting. As for the top painting, which is well over 10 years old, I am planning a do-over very soon. I’ll keep you posted. As long as I continue to work at my craft in earnest and I can see some growth, I am happy. Sometimes I grow by skips and hops, other times by leaps and bounds! Either way, with growth success is eminent. What yardstick or scale do you use to measure your success? Drop me line below. Many of you know that in the last couple of years I lost my two best friends – the best of the best. These were the friends I’ve known since 3rd grade, which translates into 47-49 years. More than friends, they were my closest sisters. Joni and Velda were an intimate part of all of my childhood secrets, my teenage blunders, my twenties relationships, my marriages, my children, my jobs. For a long time I could imagine us as “old” friends still hanging out in our 70’s and 80’s. Still enjoying each others company, still causing havoc, still laughing, still there to answer the phone at 3 am, to open the door in the middle of the night, to offer a hand, a shoulder, a dollar. And even though they have both gone on, I still imagine. Jokingly (not really), I told my husband that he would have to step up and be my new best girlfriend. To his credit, he is seriously trying to fill that void and I love him for that. Recently though, I had a revelation. It wasn’t a surprise to me really, just a realization about something I had not looked at in this way before. I had the pleasure of visiting with some other friends not long ago. Some old friends actually. These are friends that I don’t see often or talk to on a regular like I did with Joni and Velda. But when we got together it was familiar, fun, and special. And I was reminded that these friends watched my children grow up and I theirs. Somehow, it just occurred to me that Angie has been my friend for close to 30 years, and Lori has logged 23, Verona 15, Dietra about 20. There’s Brenda and Rita for at least 36 years and Michelle too, who has been there from the very beginning. I am so blessed to have so many more people who have lasted through the decades. I hope I am as good a friend to them as they are to me. One thing I know for sure is that my old secrets are forever safe with Joni and Velda. Still, I wish we had more time to ride. It’s said that an artist is his/her own worst critic. Well, that’s certainly true of me. Even though I can see that I’ve gotten better over the years, I’m not yet where I think I want to be. Don’t get me wrong – I believe that I have talent; I believe in my abilities to create fine art – but I haven’t reached that stage in my artistry where I’m completely comfortable. I generally begin a painting chanting “I THINK I can, I think I can,” and then of course I do it. But I rarely start with the thought, “This is cake, I can do this, hands down.” There’s always a little hesitation, some trepidation. As we close on 2012 and begin 2013 I, like most, engage in a little retrospective on life, love, dreams, career, and of course my art. When I look back at some of my earlier paintings and compare them to recent works, I feel a real sense of accomplishment. I can definitely see the progress that I’ve made over the years, which is as it should be. Many of my first works look so amateurish to me now, yet with every new painting I complete I look and look and pick it apart and look some more, never fully satisfied. Oftentimes I am pretty reluctant to even sign my n ame, because signing it would mean that it’s finished. I think that un-satiated feeling derives from not yet having developed a style I call me own. (Interestingly I’ve been told by others that I do indeed have a style, only I myself can’t see it.) Because I enjoy such an assortment of media and subject matter and technique I find it hard to lock myself into what I think is a specific style. I can’t even attempt to clump my paintings into “periods” such as Picasso’s Blue and Rose periods. Each time I pick up a brush to start a new painting the outcome is decidedly different from the last one I completed. Then again, if I ever find myself pigeon holed into a specific style – in my art or in my life – it would mean that I’ve stopped growing, stopped evolving, and that simply will not do. Notably, all of the Greats have danced between painting and sculpture and architecture and science and invention, dallying in different genres and media – it’s part of what made them great. And because there’s still so much more that I want to try, because I haven’t learned it all, because I relish a good challenge, because I’m still not satisfied, I so look forward to 2013. My wish for you: Continue to grow, continue to evolve into that being you are meant to be – at least for this year. Get as close as you can without lighting that cigar. Now, throughout this article I’ve given you a little peek at my evolution thus far. Besides the obvious, can you tell what’s old and what’s new? A friend posted a question on FB recently asking: “What do you think of when you see the word employment?” There were a few words that rushed to my cerebral cortex but only one came bolded, italicized and underlined – opportunity. Some of the other words included slavery, imprisonment, and sacrifice. Actually, those were the first words that came to life, but just as quickly conflicting words like freedom, and achievement popped up. Then it didn’t’ take long for “opportunity” to check in, and once it was there, there was no keeping it quiet. 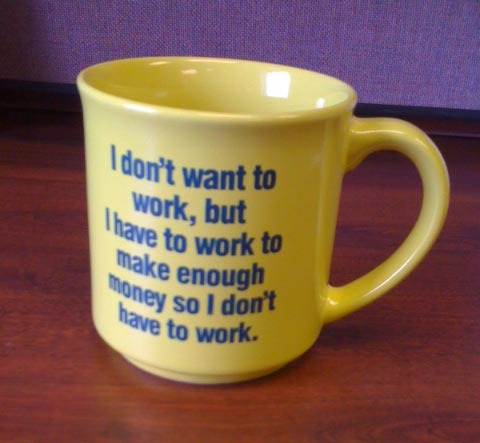 Initially, employment brings a little (or a lot) of freedom. When I began working as a teenager, making my own money gave me the freedom to buy my own clothes, go places, and purchase items I wanted without relying on my parents. Later, my job afforded me the chance to move out on my own and live by my own rules. When I became pregnant out-of-wedlock with my first child I was secure in a job that allowed me to keep and care for my child without returning home to momma’s house. Eventually I could afford a car, a house, a vacation or two a year, and many frivolous non-essential items and experiences. So, you may ask, where did such words as slavery, imprisonment and sacrifice come from? Well, for one, my grandmother. She had many colorful colloquialisms, one of which was “Go to work slave!” Fast forward many years when my kids are grown and my body is creaking and I look back and see that I’ve spent all of the money I made over so many years. Now the economy is not doing so well and the mortgage is cutting into vacation funds and I NEED to work simply to maintain what I already worked so hard to achieve. Those mornings when my body begs for more sleep or those afternoons when I just don’t want to think, let alone work, those evenings when I can barely stay awake long enough to eat, those are the times when I feel constricted. When the sun is shining and I just want to play or I want to work in my studio, spend my days painting and creating but can’t afford to blow off work, I feel trapped. When my entire paycheck is obligated to bills I’m frustrated by my dependency to my job. Now I know what grandma was talking about. But wait here it comes again – that word opportunity. Employment gives me the opportunity to learn new things, things I probably would not look to learn on my own. OJT is invaluable. Also, being employed introduces me to new people every day. It teaches me to be multi-cultural as I am exposed to the diversity of my coworkers and our clients. And when I meet new people inevitably I meet someone whose interests match mine and we become friends. Sometimes I meet people who know people who can further my education, offer me better employment or invest in my dreams. Speaking of which, being employed gives me the opportunity to dream freely. I can work at my own small business part-time until the opportunity presents itself for me to move forward on my own and experience the freedom of being successfully self-employed. And having that dream is what makes me show up every day to a job I don’t necessarily want to go to, until I can answer the knock I know is coming. Go to work slave. And keep an eye and an ear open for opportunity! The first computer I ever worked with back in 1978 (showing my age here) was a behemoth mass of metal and buttons and switches, and took up the space of an entire room. 33 years later all of that technology can fit in the palm of my hand. Truly technology has brought us a very long way and for the most part that’s a good thing but for some, having such powerful technology in the palm of their hands sometimes gives them a false sense of their true abilities, or lack thereof. Case in point: owning a digital camera does not make one a photographer. Point and shoot is wonderful technology for people who simply want to remember a vacation or capture images of their children in their Halloween costumes. Those are photos to be cherished for sure, but they belong in the family album and not in a gallery. A photographer on the other hand knows a little something about composition, and lighting, and directing the viewer’s eye to the focal point of the photograph. They are aware of brightness and contrast, backlighting, and color casts. Because they know these things they put a lot more work into a photograph than merely “pointing and shooting.” And also because they know these basics, very good photographers can often get away with point and shoot technology and still come away with fantastic photographic art. 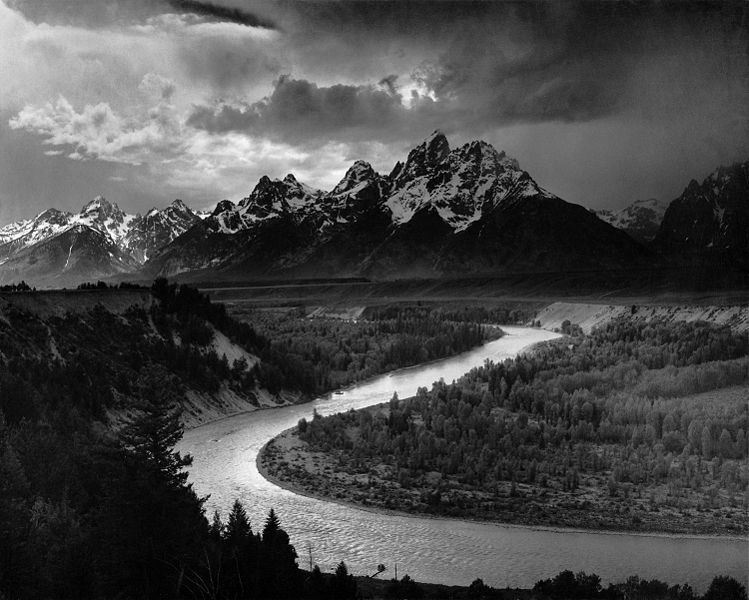 Ansel Adams didn’t just take pretty pictures of landscapes. 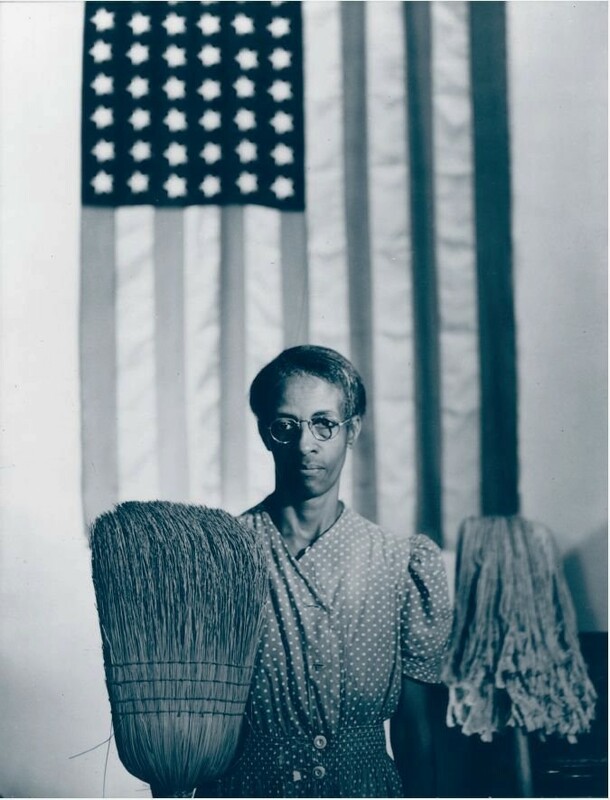 Gordon Parks didn’t justshoot photos of people. They were true storytellers. Their photos brought tears to viewer’s eyes. Their photos moved people to action. These artists captured atmosphere, height and depth, peace, love and despair, and hope with the click of the camera’s shutters. They drew you in and forced you to see, not just look. Their photos had soul. One could feel the enormity of the mountains and step into the valley and lose oneself in the sheer vastness of it all. One could be overwhelmed by despair and feel great pride all at once from a single image. Anyone who viewed their photographs could lose themselves; become part of the landscape, part of the argument, part of the movement. Before you approach a gallery, take a little time and study some of the old masters whose photographs are so much more than pretty pictures. Then take another glance at how things are looking through your lens.